We love cookies and I can not lie. My husband mainly wears the cookie captain cap, I swear I can bake a batch and they are gone before I can turn around. I’ve been trying hard to have a fresh batch in the cookie jar so Mr. Fynes, the kiddos have some for their lunch box. 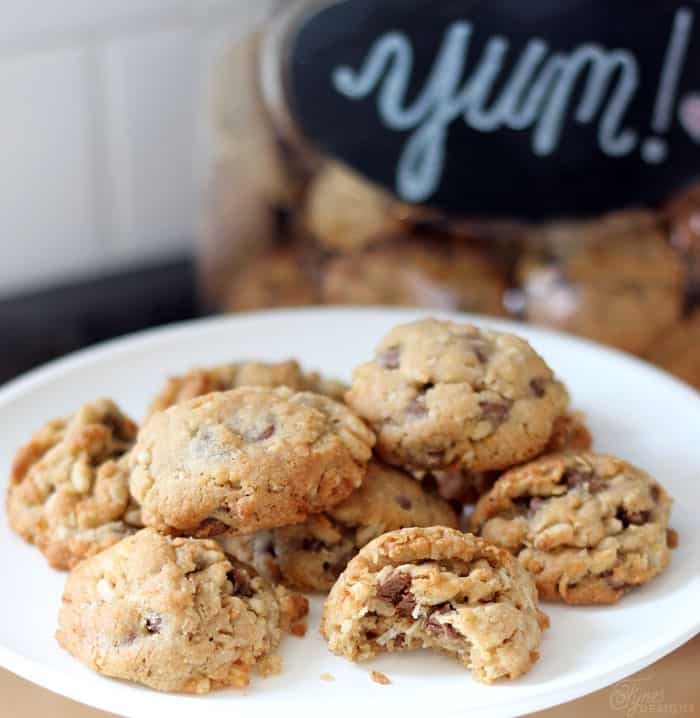 Today I wanted to share a recipe for a hearty version of the beloved Chocolate Chip Cookie… with a yummy c-r-u-n-c-h! Beat together butter, brown sugar and eggs. Add flour, baking powder, baking soda, salt, coconut, oatmeal and Rice Krispies until well combined. Mix together and scoop onto parchment lined cookie sheet. 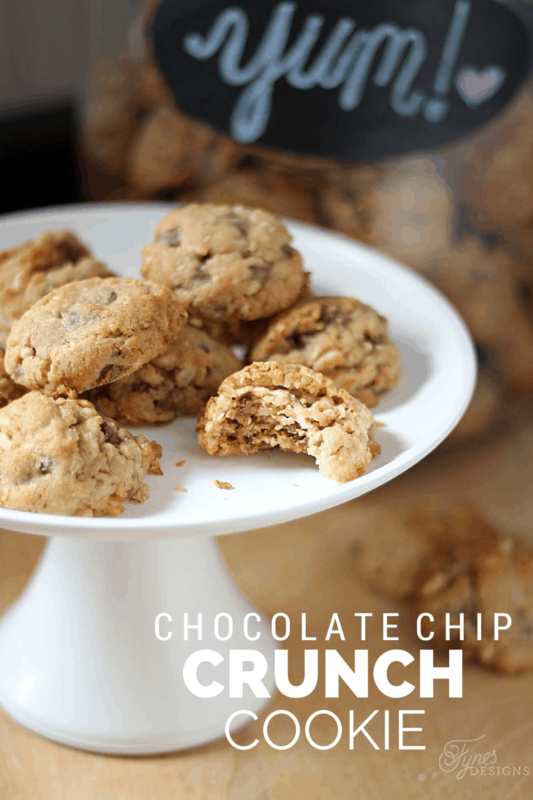 (batter will be more loose than typical chocolate chip cookies). Bake at 375 deg for 10 mins or until just brown. I love a cookie with a dash of oatmeal, it makes me feel a like I’m whipping up a health-ish cookie, plus the Rice Krispies give a tasty CRUNCH!! 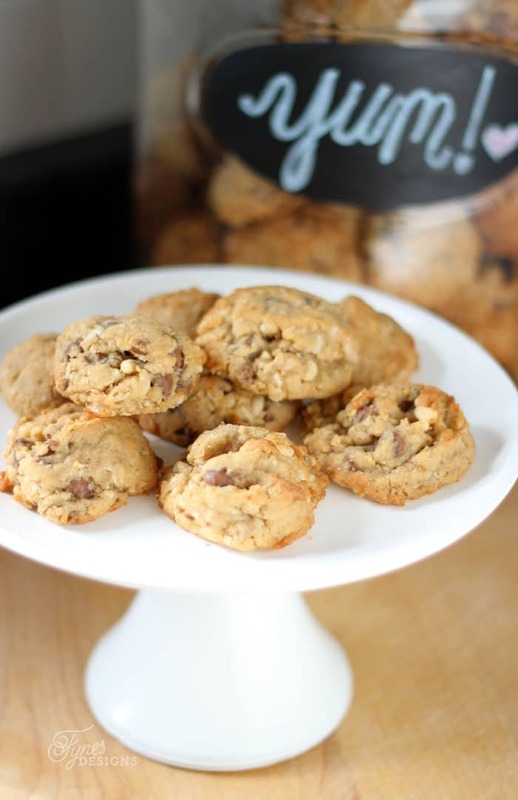 These little cookies are so scrumptious and chocolately they won’t last long! Pinned. Love the idea of Rice Krispies! We have the disappearing cookie problem around here too! I love the Rice Krispies and coconut in these–sounds fabulous!